NFL-themed skins and outfits will enter the Fortnite item shop as part of a partnership between Epic Games and the NFL, the developer announced Monday. All 32 team jerseys will be purchasable alongside a unique Fortnite football skin starting at 7 p.m. ET Friday, according to an announcement. ​​In the thumbnail for the newest ​Fortnite crossover, characters are depicted in New England Patriots, Denver Broncos and Philadelphia Eagles jerseys. Players can also customize the numbers on the jersey to give each look a personal flair. This is the second major media crossover for Fortnite this year. In May, coinciding with the release of "Avengers: Infinity War," Epic Games ​announced a crossover event where Fortnite players could play as Thanos in a limited time mode. 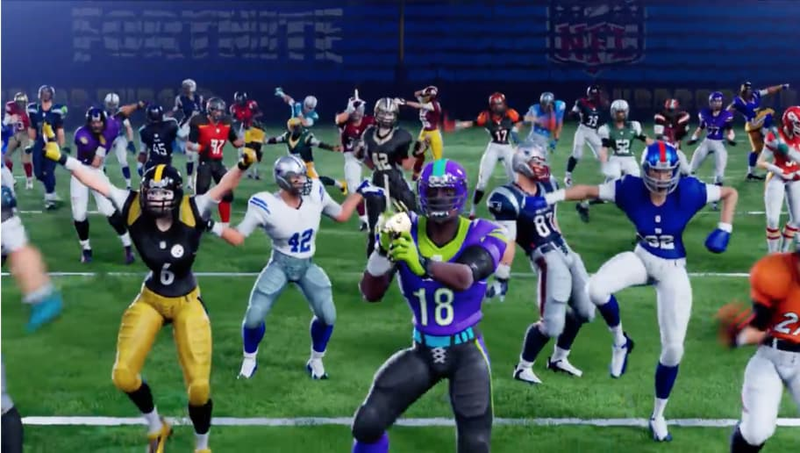 While ​Fortnite dances and emotes have transferred over into the sports world, the Fortnite x NFL partnership marks the first time licensed sports jersey will be in the game.